Golf is a worldwide popular sport that is stereotypically known as a difficult-to-learn gentleman’s game. Even though it truly is mentally stimulating and physically challenging, the fact that it is too demanding for the common folk and that it is only made for men is far from the truth. As a matter of fact, this fun sport can be enjoyed by everyone of all ages. By grasping some of the important rules of the game, even children can have a swing at golf. Nevertheless, few people know about the amazing health benefits that come with a game of golf. Here are just a few amazing benefits for both your body and mind. Not everyone knows that golf can actually be considered as a type of physical activity. 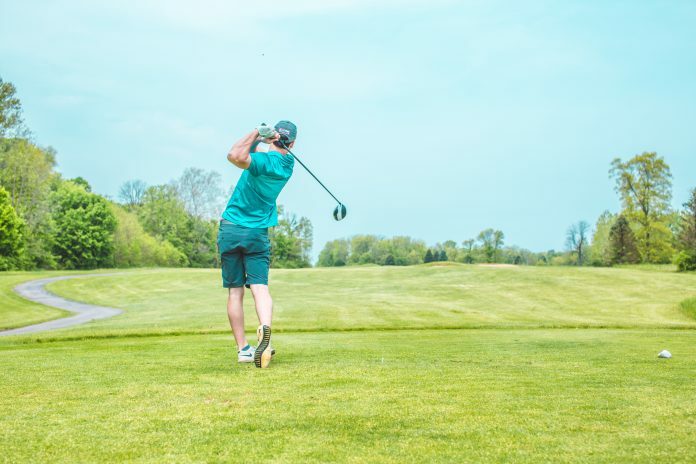 By being outside on the fresh air, walking, moving about the field, carrying and swinging any player can say that a game of golf equals a good workout. Fast-paced walks, carrying the heavy bag and swinging can increase heart rate and help with pumping blood. Also, it is said that golf is excellent for people who suffer from diabetes and other heart-related illnesses. By making sure to reduce blood pressure and lower bad cholesterol levels, anyone can try out a game of golf for better heart health. Sleeping for at least seven hours every night is crucial for maintaining optimal hormone levels in the body, and it also helps with metabolism functions. By not getting enough quality hours of sleep, the body is unable to function at its best. One of the best ways to let out excess energy is to enjoy a demanding game of golf. Running around and spending a lot of time on the fresh air is the perfect combination for a good night’s sleep. Not only does sleep help with muscle repair and alleviating fatigue, but it is also a good way to relax. Stress is one of the main reasons why people tend to fall ill. Nowadays, since stress is an unavoidable part of everyday life, the common person needs to find ways how to relax and let loose. An excellent way to enhance your mood and take a break is to call up a friend for a game. As a matter of fact, golf is considered a highly socializing sport. Take this opportunity to get in touch with some old friends or try making new ones. Also, golf is a sport that is loved by a lot of people and which can connect a community. So, next time you want to escape from day to day life, go grab your golf swing. Did you know that on average, a male golfer is able to burn around 2500 calories during a single game of golf? Not only is golf a fun activity, but it can easily substitute a gym membership. Try practising for a couple of times a week for best results. If you have issues with getting a grip of the motion when swinging, then it is recommended to check out Swing Eagle. Swing Eagle is a quality wall mounted trainer that is excellent for improving the swing. Also, this product is a great way to burn a few extra calories before or after any game from the comfort of your home. To make sure that you get the calories burning, try not using a golf cart but rather walk as much as you can. On average, for weight loss, people should take at least 10.000 steps a day. By taking up this sport and practising a few times a week, plus a well-balanced diet, anyone can shed those extra layers of fat! It is not unusual that someone names golf an intellectual’s game. This is due to the fact that players need to think a lot, think ahead and challenge themselves. Actually, golf is a sport that requires good coordination and top notch balance skills, so it is excellent for stimulating neurological functions. Not only does this classic sport strengthen the brain’s memory circuits, but it also increases blood supply. All in all, golf is an excellent game that has numerous health benefits. Not only can men enjoy this interesting sport, but women and children of all ages can take part in it too. Have fun!